The true worth of one’s family can be known only when you realise that you are starving out of mid-night hunger and you do not have your mom to wake up at the very first instance of your call dipped in utter guilt of waking her up and quickly prepare a delicious snack for you with the least bit of annoyance. You realise the warmth of the unparalleled abode called home when you return to an empty hostel room where there is no Dad to get you candies on his way back home from work. All you get in the name of family is phone calls- some hurried ones and some disrupted by the unpredictable rickety network. When such desperation piles up, visits to home become more priced than a free funded Europe tour maybe. That might be a bit of an exaggeration but then everything is valid if the subject matter is home. 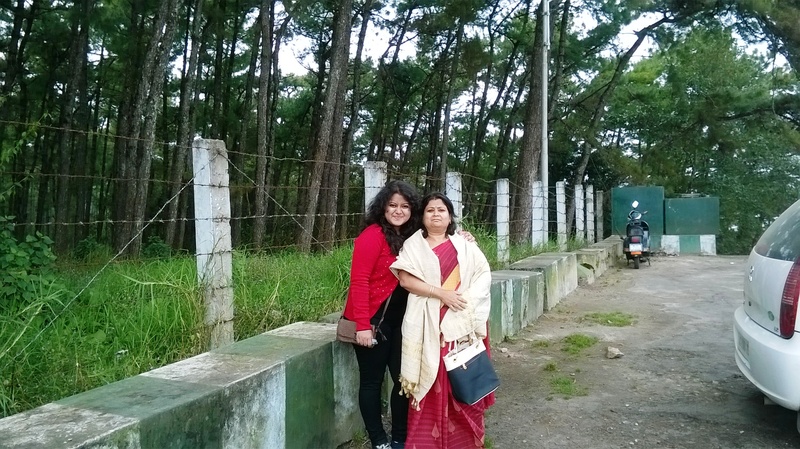 On one of my short trips to my home at Guwahati, I planned a sudden trip to Shillong with my Mom. We were joined by one of my dear college friend who happened to be awe struck with the wonders of North-east India and insisted to accompany me from Kolkata to Guwahati in one of my visits. 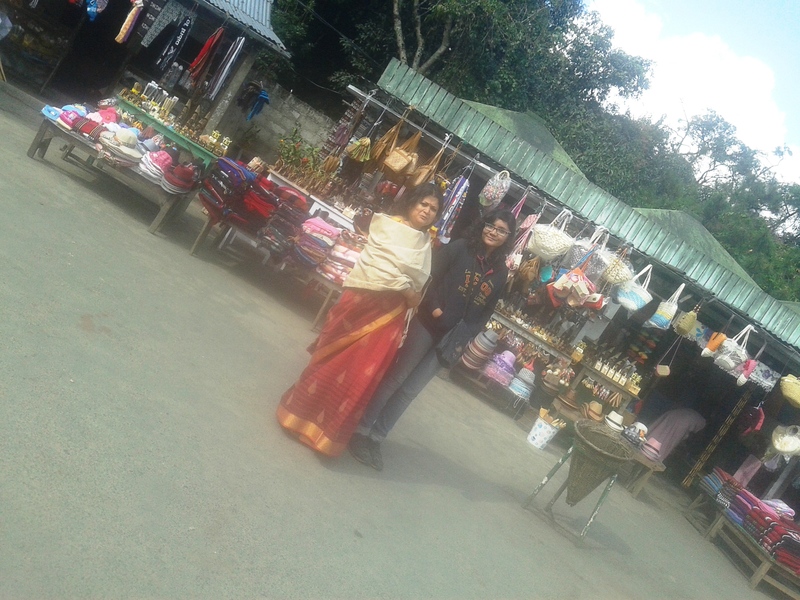 The month of November last year found my friend, my mom and me take up four hour long road trip to Shillong. The journey was quite a treat in itself, full of unexpected twists and turns in the literal sense. The slithering roads, the coniferous greenery, the rare hued blossoms, the unpolluted air, the biting yet luring breeze touching our cheeks filled us with much zest and we were awe- struck with the beauty which hid like a violet behind the moss in this part of the country. Our first target tourist spot was the Elephant falls- It is situated 12 km on the outskirts of the city, the mountain stream descends through two successive falls set in dells of fern covered rocks. 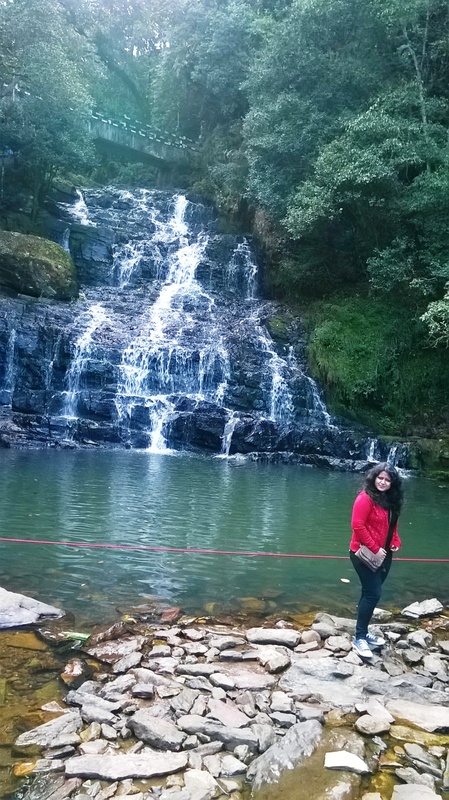 Elephant Falls was the British name of what the local Khasi people once referred to as Ka Kshaid Lai Pateng Khohsiew (or “Three Steps Waterfalls”) since the falls actually consisted of three sections in succession. The British renamed the falls because there used to be a rock resembling an elephant near the left side of the main falls. The 1897 earthquake destroyed the rock. The bottom tier was the most impressive, of the three waterfalls,all of which were easily reached by the same short and easy walking path. Multiple stairs and a bridge across the stream composed the walking path of the falls. It took us half an hour to complete the entire course of excursion of the falls. 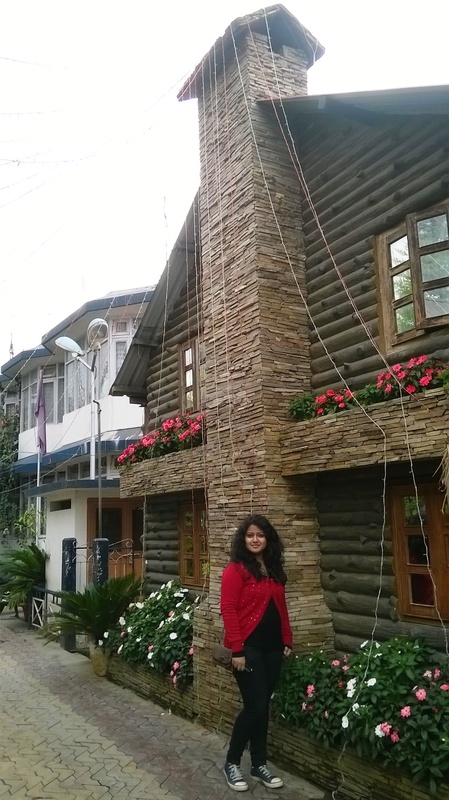 Our next destination was the Shillong peak. 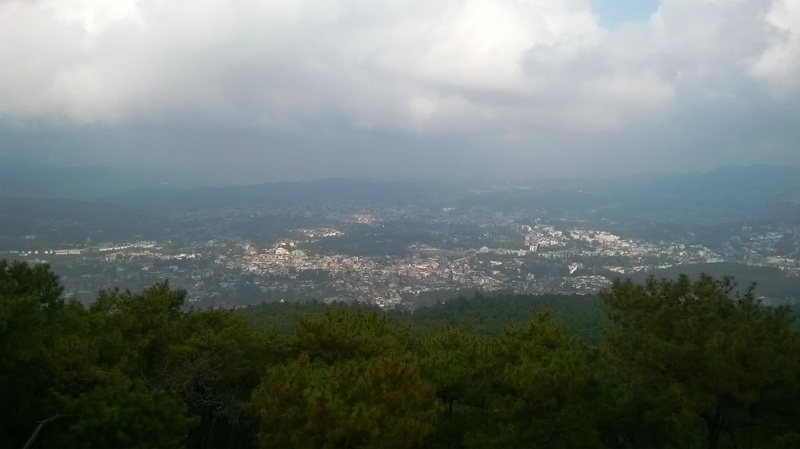 It is a picnic spot, 10 km from the city, 1965 m above sea level, and offers a panoramic view of the scenic countryside and is the highest point in the state. Obeisance is paid to U Shulong at the sanctum sanctorum at the peak’s summit every spring, by the religious priest of Mylliem State. 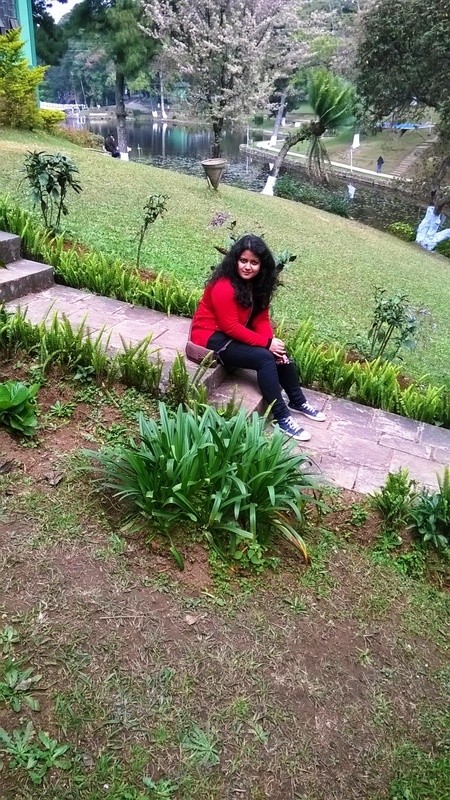 After overcoming the fear of heights by the astounding and hypnotising view from the Shillong Peak and having a certain unknown repentance of not having only a day’s time to absorb all of Shillong’s unfathomable healing power, we headed to the most picturesque scenery I have ever witnessed in my life yet; the Wards lake. 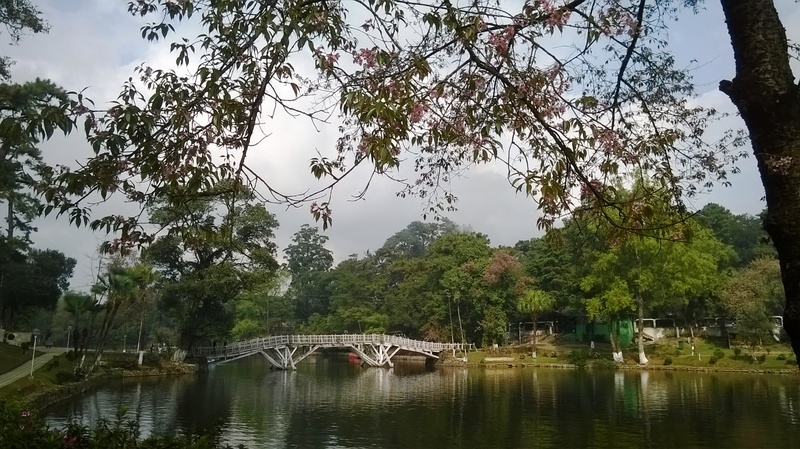 One of the most popular attractions amongst tourists visiting Shillong is the beautiful Wards Lake. It is an artificial lake located in the middle of the scenic hill station. Its horse-shoe shape works in luring large number of tourists throughout the year. The construction of the Lake has a story behind it. A Khasi prisoner, bored with the labor camp routine requested the warden for some creative release. 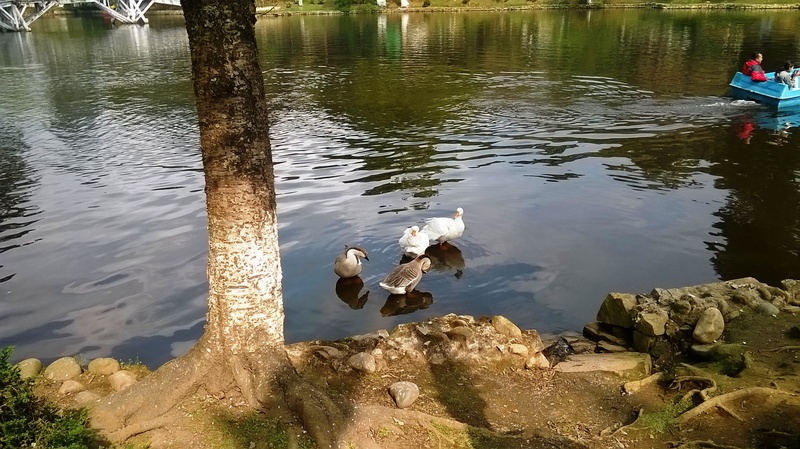 He was granted the permission to create the artificial Wards Lake. 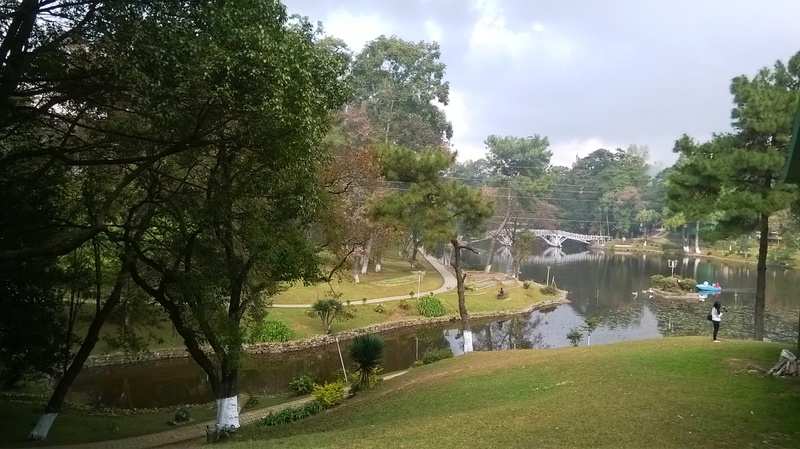 The Lake is beneath the Raj Bhavan (Governor’s Residence) and is popular for its garden walks and boating. Colourful fish and marvellous wooden bridges adorn the lake. We enjoyed feeding fish while standing on the bridge or boating on this serene Lake. We also took a walk along the cobble-stonned paths in the garden. 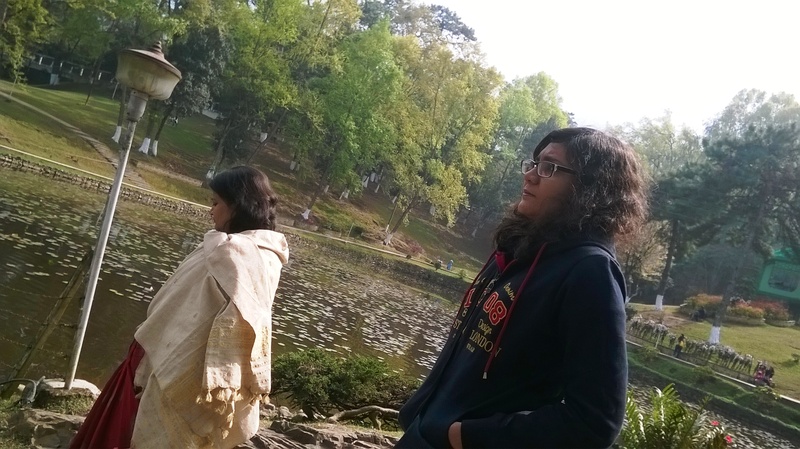 After half an hour of soothing the sight, we simply sat besides the lake and relaxed while I read my favourite book. That is how this lake becomes the perfect refuge of bookies. The rhythm of gurgling water of fountains embedded in the garden is sure to wash away all your worries from the deepest corners of one’s mind. 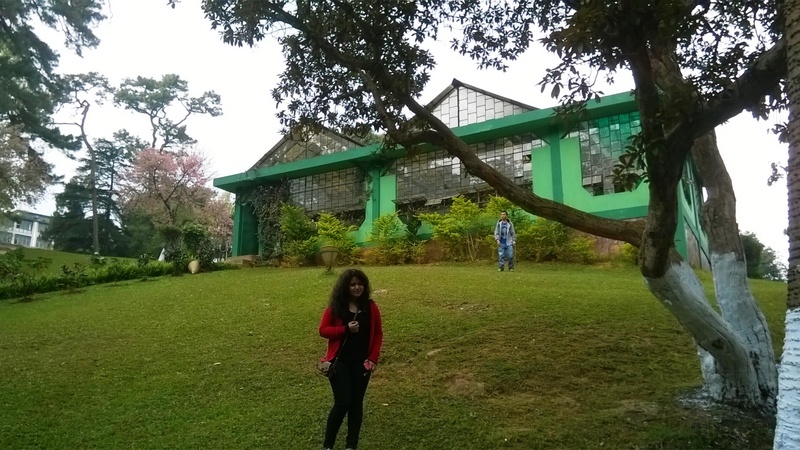 Shillong does not only mesmerise in its aesthetic sense but also holds enough historical and cultural heritage and we got introduced to this during our visits to few of its leading museums. The first was the Capt. Williamson Sangma State Museum. It satisfies the curiosity of those interested in ethnic tribal culture and tradition this government museum offers insights to the lifestyle of the people. This museum is in the State Central Library complex where monuments for the great patriots of the state were erected besides the statue of Smt. Indira Gandhi and Netaji Subhash Chandra Bose. 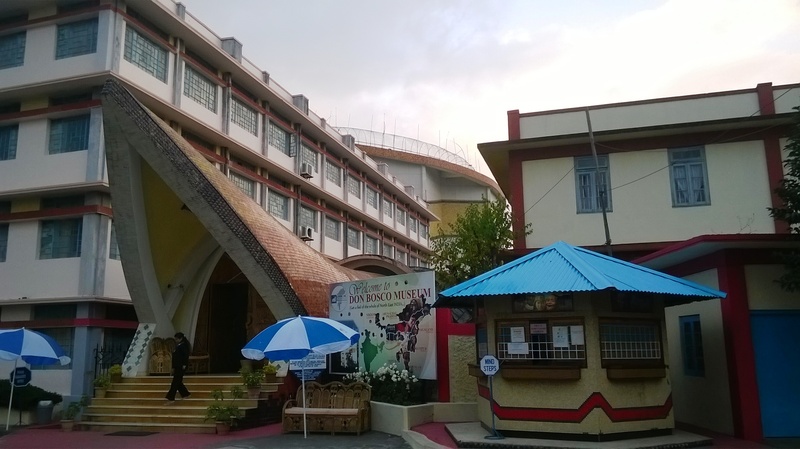 The next was the Don Bosco Centre for Indigenous Cultures which is a part of DBCIC (Don Bosco Centre for Indigenous Cultures). DBCIC comprises research on cultures, publications, training, animation programmes and the museum, which is a place of knowledge-sharing on the cultures of the northeast in particular, and of culture in general. 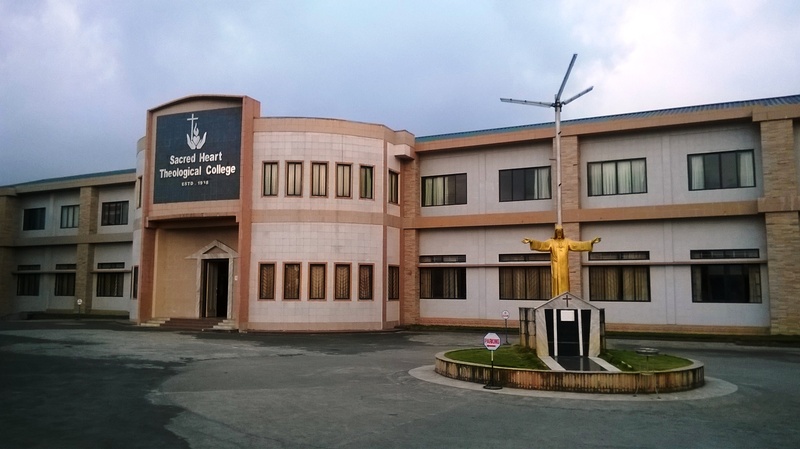 DBCIC with its Don Bosco Museum is situated at Mawlai, Shillong. 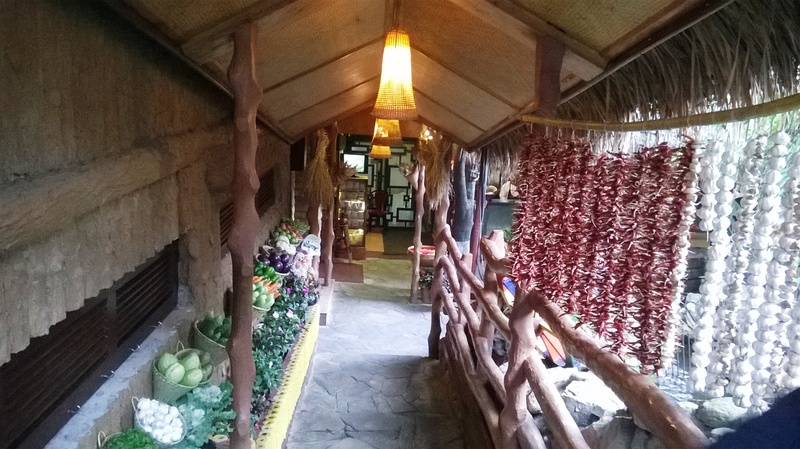 The day finally came to end and while our energies dipped low, we headed to one of Shillong’s well known food outlets and soothed our palates with exquisite Khasi cuisine. A place can only be understood in its entirety when its local cuisine is tasted. The local food of Shillong consists of some exquisite dishes like Jadoh (a mixture of rice and pork), Dohneiiong (pork mix with local spices), Tungtab (fermented dry fish) and Tarumbai (fermented beans). Kyat, the local brew made from rice, adds life to any meal. The legendary momos, dumplings or dim sums as they are called cannot at all be left from being mentioned. Stuffed with cabbage, pork or chicken, these mouth watering delicacies will leave you craving for more. It might be an over statement that the delicacies defy all logic of law of diminishing utility yet, I would fearlessly make this statement in order to illustrate the excellence of the cuisine. 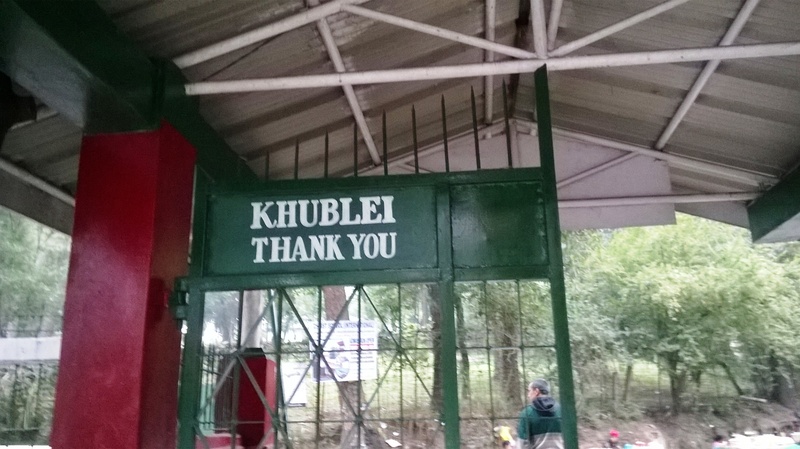 Kwai (betel nut) is offered by Khasi people as a sign of welcome and as a token of their affection. The fading sunshine indicted that the duration of my trip had come to an end. It also indicted that I was only left with twelve hours more to be with my family before I boarded my flight back to college. The thought did sink my heart yet the untamed flashes of memories which I made with my family throughout the day filled me up with joy. It made me hopeful to look ahead for my next visit. The trip was not just a detached visit. It gifted me moments of cherished playfulness with mom- sharing all college gossip with her, getting scolded for not draping myself with three/four mufflers, torrential reminders to eat healthy when my ugly eating patterns no longer remained an episode of baseless allegation but a well founded fact before mom and so on. As I buckled my seat-belt in the back row of the car and as lay my head on my mom’s shoulders, missed call alerts popped in my cell-phone which read some ten ones from Dad, I realised travelling is not just a mechanical and educational activity. It is much more than that. It is somehow a miniature reflection of our entire life- how at the end we get back to where we started from with only a few souls who really care for you. Nipasha Mahanta is a second year law student at National University of Juridical Sciences, Kolkata who enjoys the subtleties of human relationships- be it sharing an unexplainable smile with a random kid toeing off non-rhythmic moves while carrying a bunch of threads fastened to disposed off tin cans over his shoulders at the street corner or gazing outside in a stupefied manner with ear phones put in place from the window seats in a random city bus. 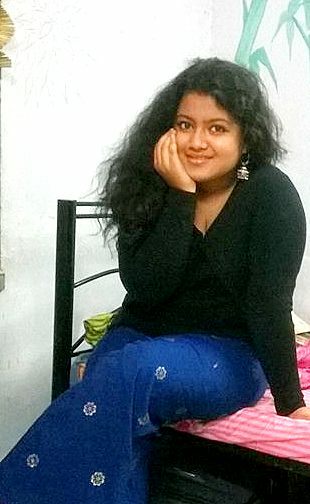 A writer when blues befall, a classical dancer when the stage lights lure, a singer when friends insist around a bonfire, an actor when mere words fall short to express emotions and a thinker when nights get long and sleep evades and a law student during the rat race hours; that’s typically her. 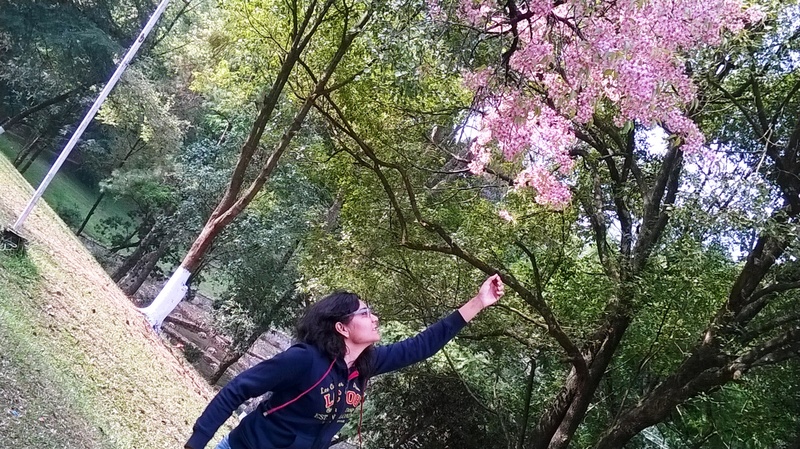 Travelling, her new found love is something which she takes up to explore to hidden treasures of the places nearby. 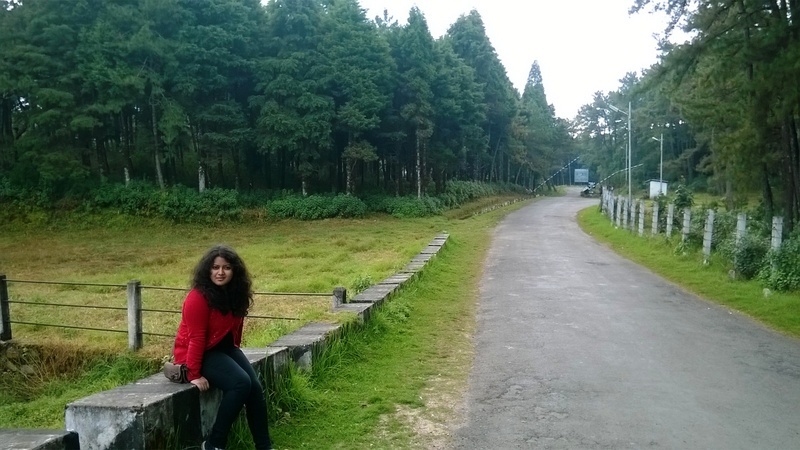 She aspires to travel through the rough roads of of the country with a blank diary and bring it back fully filled.